The Christian Church of the Gospel Age is spoken of in Scripture as the new creation -- specifically mentioned as "new creatures in Christ" (2 Cor. 5:17). The laws, duties, privileges and responsibilities of God's new creation are defined in Scripture and are designed for their instruction, edification, blessing and comfort. 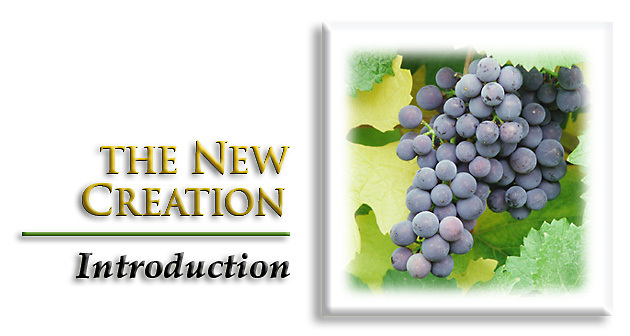 The New Creation makes the New Testament instruction by Jesus and the Apostles come alive with meaning. As the Temple of the Living God, each Christian is to honor, praise and glorify God. Anything less is not living up to our privilege of walking with the Master.